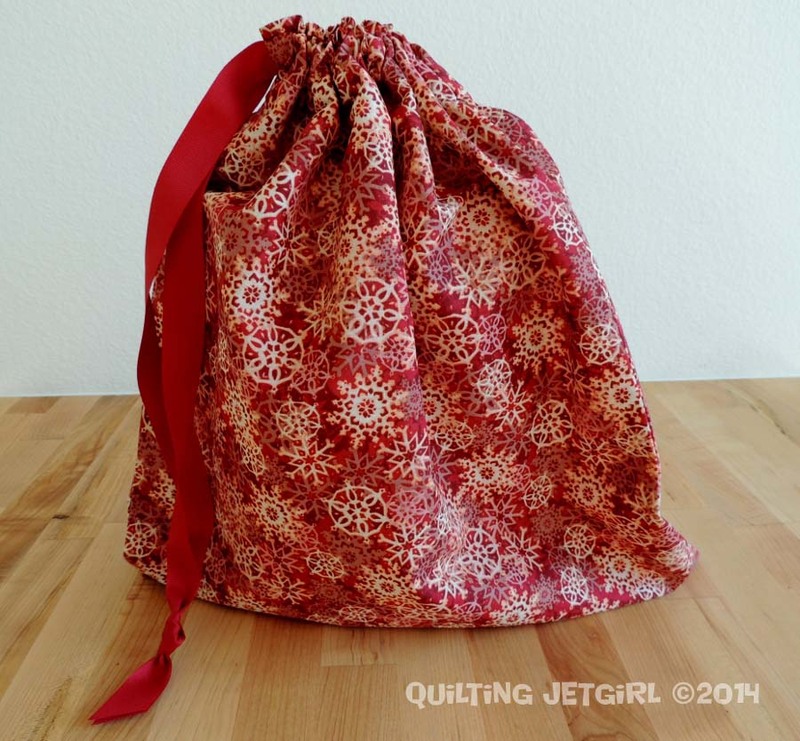 After publishing my simple drawstring bag tutorial, I took some time to make several more. It is always gratifying to know that with a bit of repetition and practice, things go faster and smoother. 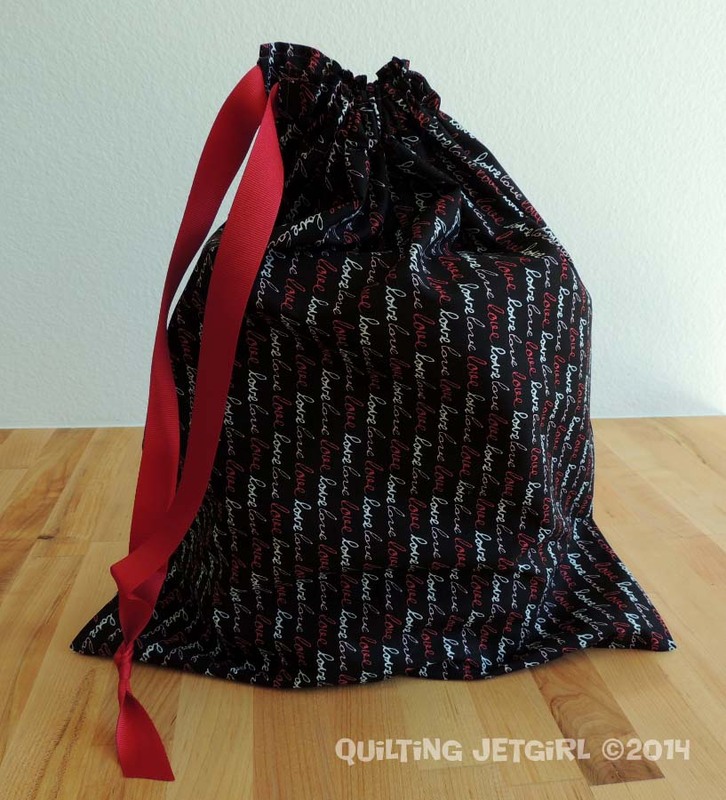 I was able to make these 4 gift bags in just under 2 hours. Not too shabby! Don’t forget that you have until Sunday evening (pacific time) to leave a comment on the tutorial to be entered to win a simple giveaway. Truly cute. I must make some of these. I am very deep into my two blocks now, and will post pics soon! I see you are getting ready for Christmas 🙂 You go girl! Christmas tree! 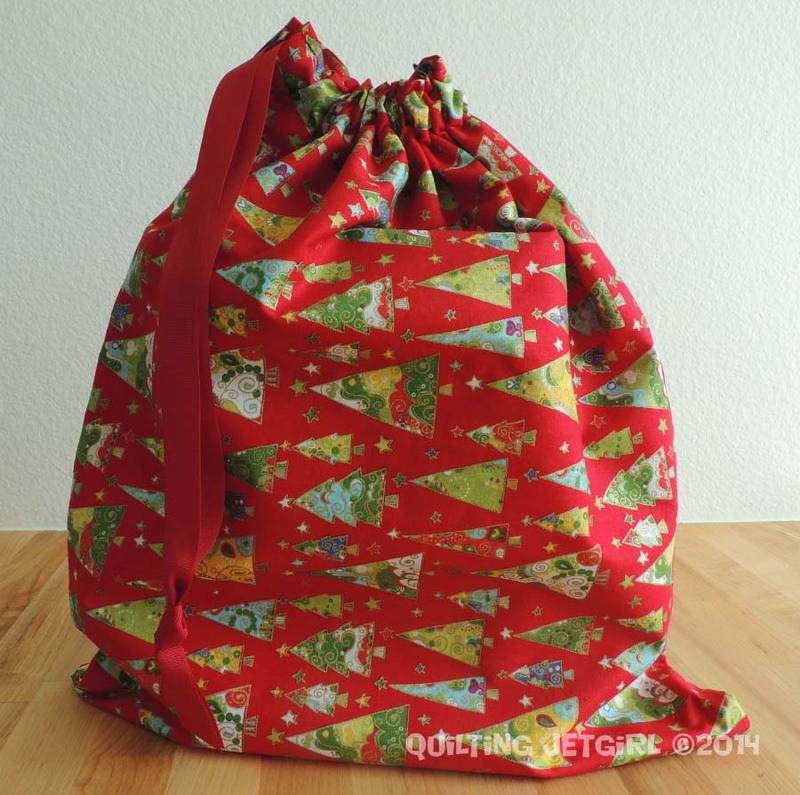 That’s what I have in mind – bags in various sizes in place of wrapping paper for Christmas. I even have the fabric sitting out ready. You have reminded me I must get to it! I’m going to have to make some of these! 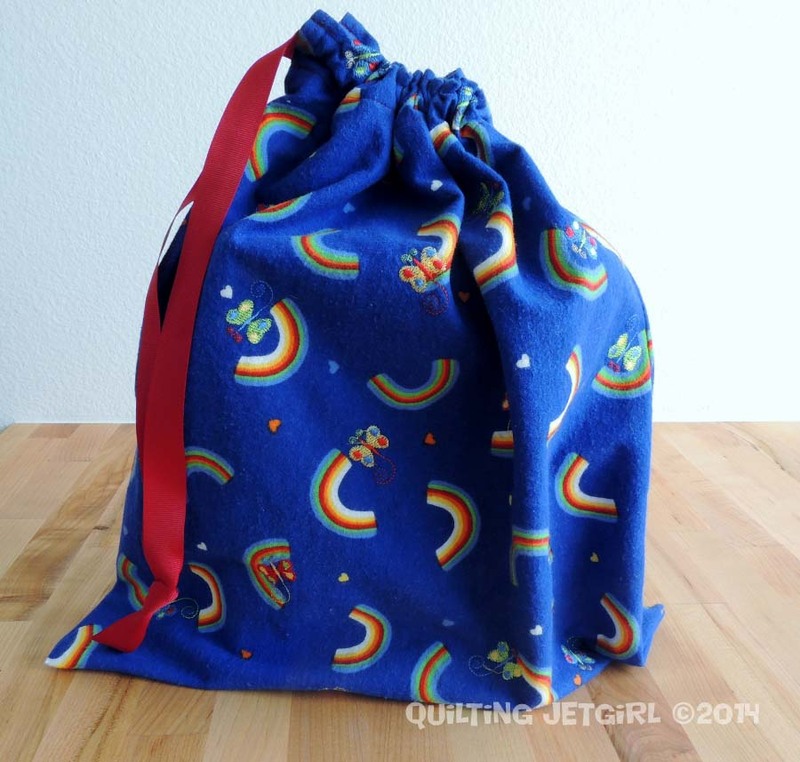 Great idea to pack the quilt into them.